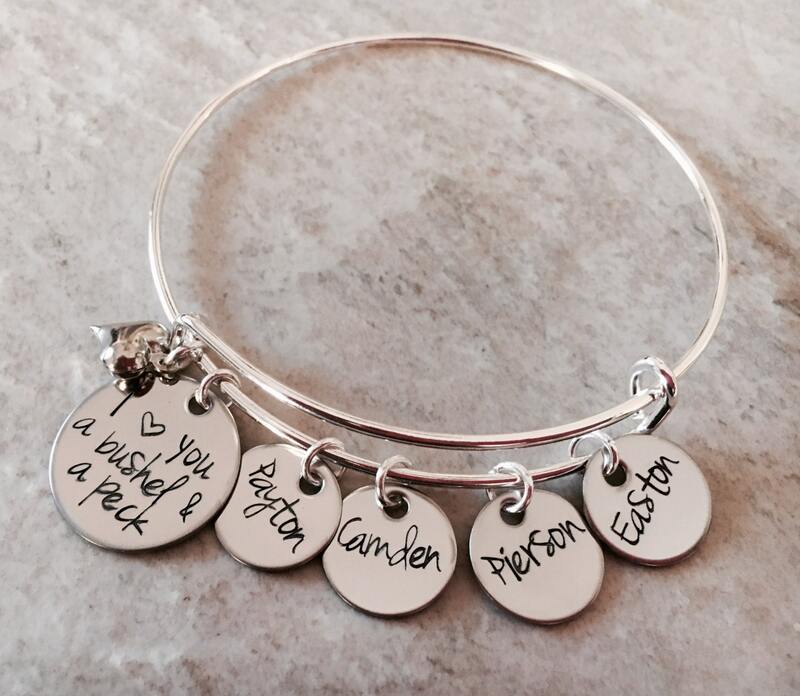 This sweet bracelet can be personalized to your liking! 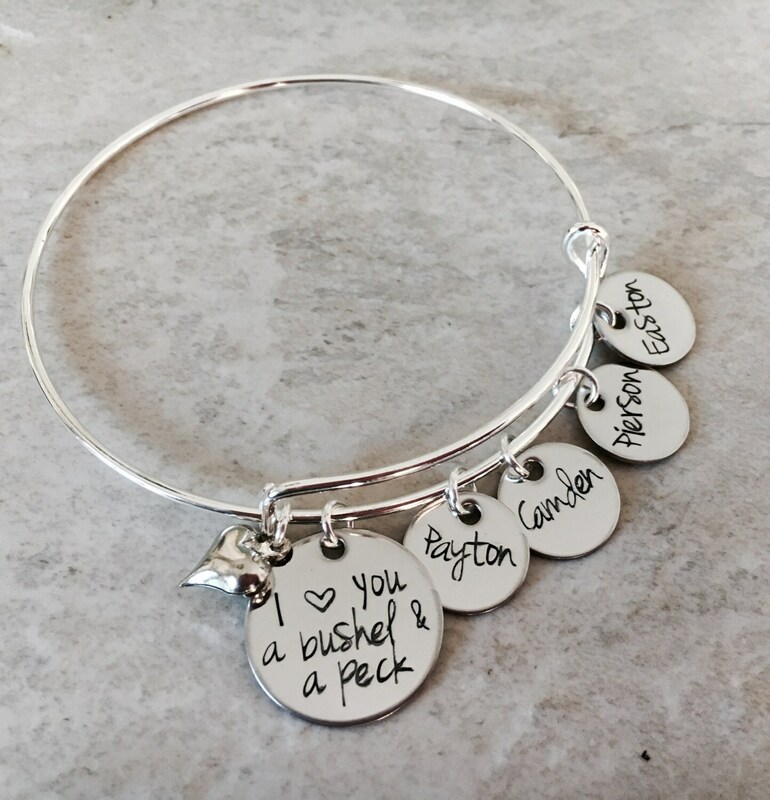 3/4" disc says, "I love you a bushel and a peck"
Includes however many name charms you need. 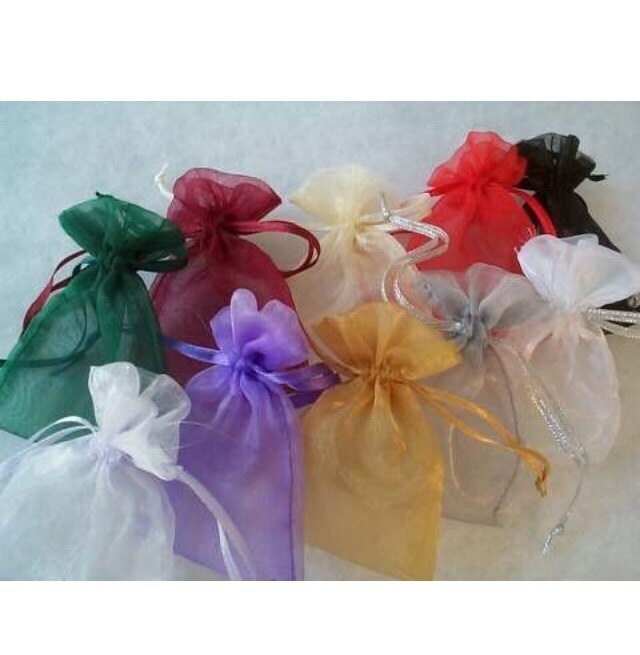 Simply select the quantity from the drop down menu provided. 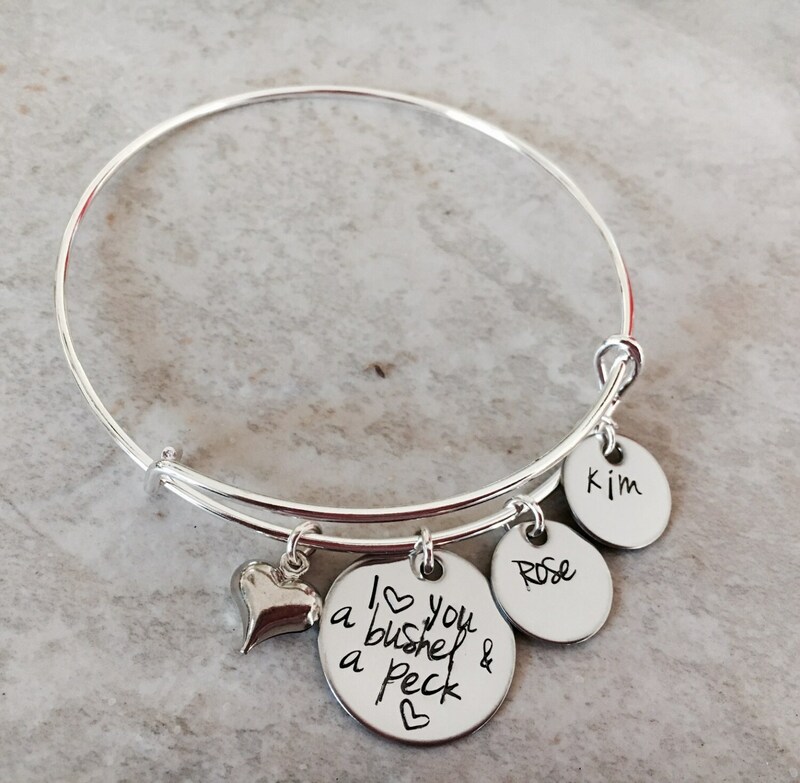 Also includes a decorative heart charm. Upon checkout please use the notes section found on the check out page to tell me the names you'd like on each disc (the discs are small--one name per disc only).